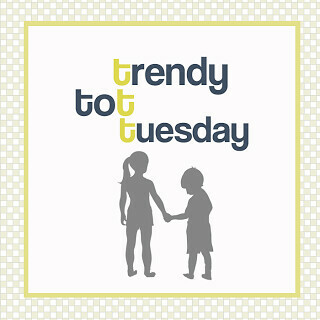 Today I am linking up with Mrs In Training, Lindsay and Megan for Trendy Tot Tuesday… which I haven’t linked up with in quite some time! I am not sure why? I thought today I would share our Christmas photo shoot that I did at home AND our Christmas card! 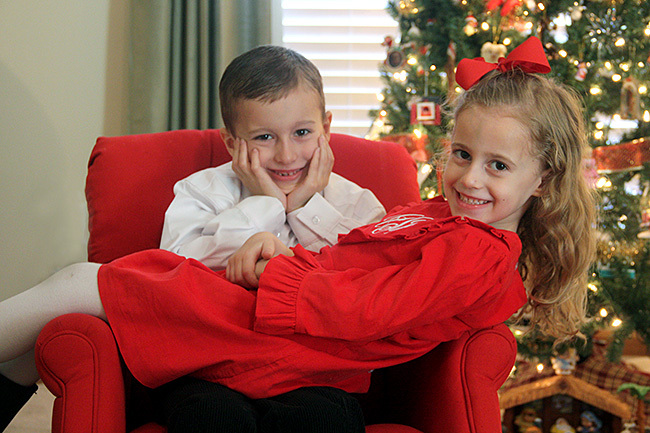 For the last few years, I have taken our Christmas card photos at home in front of our Christmas tree. It is easy, inexpensive and I have a nice DSLR camera, why not use it? 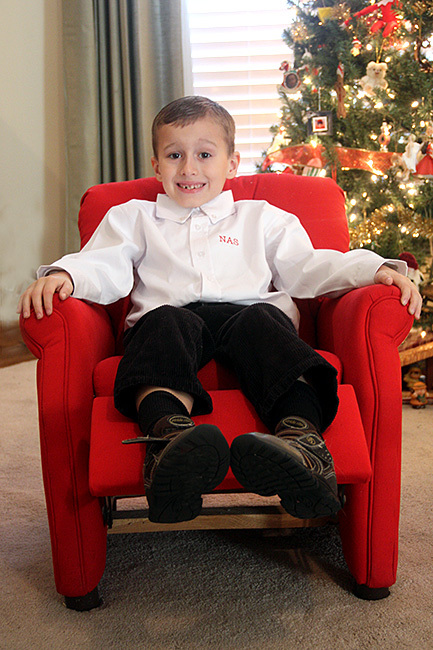 I have an adorable child size recliner that is upholstered in red and it is just the most perfect prop for photos with the kids in front of the tree. It also helps to show how much they have grown over the year when I look back on photos. Here is this years Christmas card!! This year we changed it up a bit and did TWO photos on the Christmas card. One fun one where Autumn is laying across Nathan’s lap and then a more traditional photo. I loved how it turned out! I always order our cards from Creve Coeur Camera, because I am always running short on time with my Christmas cards and they do 1 hour photo processing without manipulating the photos after I submit them. I can’t take the photos until I get the tree up (which is right around Thanksgiving) and I want to get my cards out around Dec. 1, so this method has worked wonderfully for me. I set up a tripod so I can use a slower shutter speed and get the ‘twinkle’ in the lights of the Christmas tree. Then… I just need the kids to stay STILL for the photos, so there is no blur! 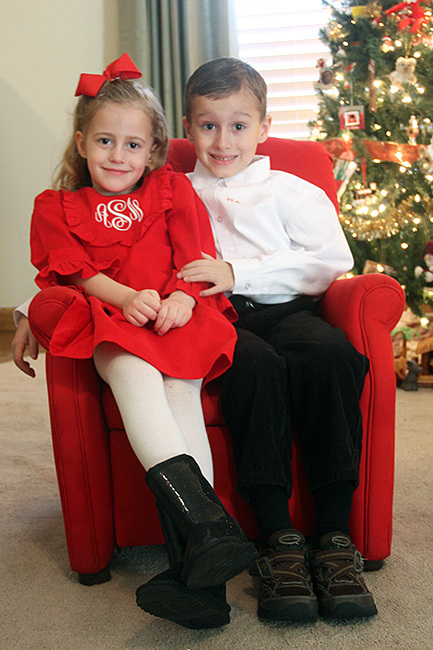 I love this photo of Nathan and Autumn together on the recliner. 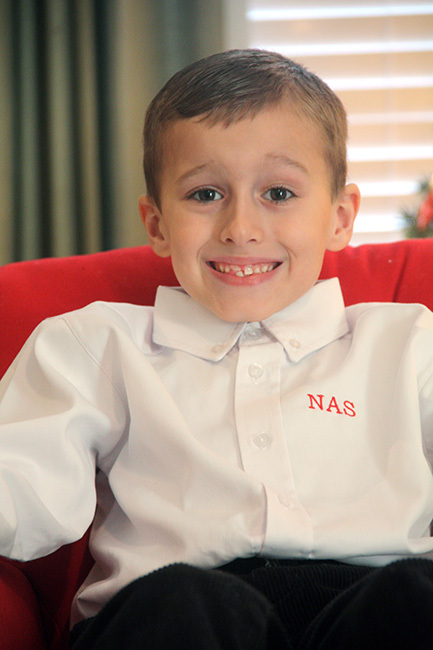 Nathan lost TWO more teeth after this photo, so his little smile looks a lot different now! As you can see in this photo, his mouth already looks a bit like a Jack O Lantern with his tongue poking through where teeth are missing/growing in. Can you imagine it now with 2 less teeth? Ha! Nathan is wearing a white dress shirt from Kelly Kid’s with his initial embroidered on the pocket. He is also wearing black coords from Gymboree, I think they make the best dressy holiday coords, they are always nice and thick! I took a lot of photos of the kids (around 300 to be exact), so of course I wanted to share some of my favorites with you… even if they are silly ones. Here is Nathan with his legs propped up in the recliner. Do we need to add a remote control to his hand as a prop? ha! Here is Autumn sitting by herself in the chair… she is such a smiley girl and I was told she is just always smiling up at school! 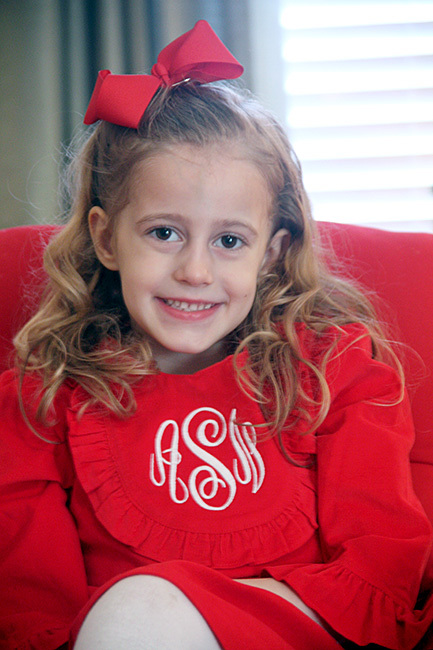 I also bought her outfit from Kelly Kid’s, it is a red coord dress with her initials embroidered on it in white. 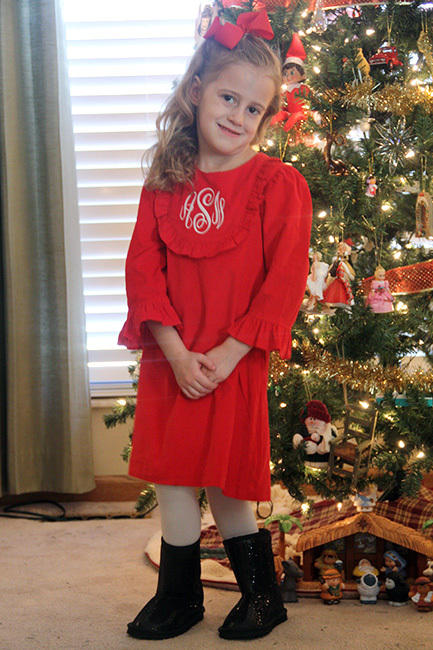 I LOVE this dress and I am excited for her to wear it to the Christmas musical the school is having later this week. Her sparkly black boots are from Children’s Place. I love how Autumn is standing here by the tree. Such an adorable photo of her I must say so myself. 🙂 You can see Elfie hanging out in the tree and we have our Little People manager that I still get out and put under the tree. 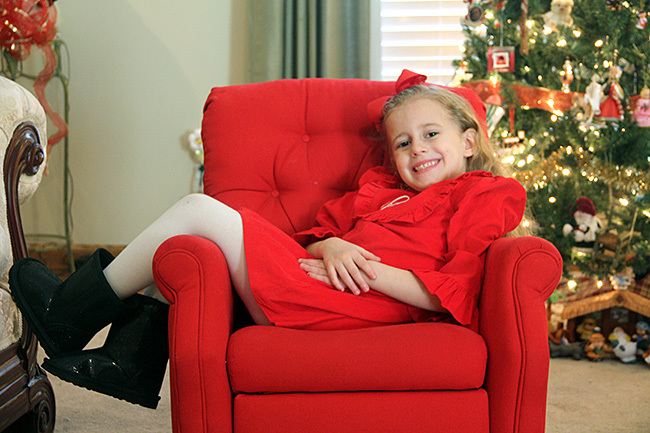 And, here is another fun one of Autumn hanging out in the chair. Love this girl! One last photo of them together, I didn’t use this one since Nathan has sort of a silly expression… but, it is still cute. 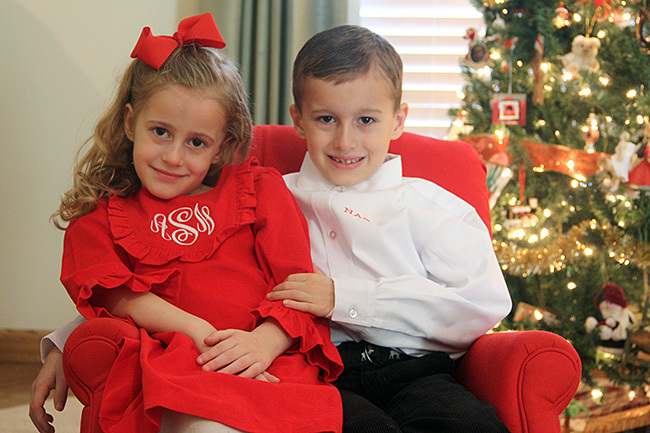 Do you get excited about picking out Christmas clothes for your kids? Have you ever used Kelly Kids?